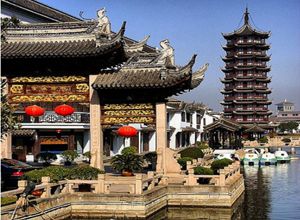 Zhouzhuang is a famous water town located in Jiangsu Provice, near Suzhou city. 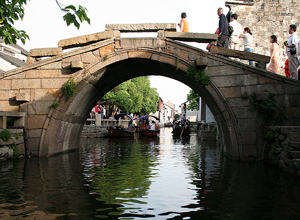 It is a popular excursion destination for a Shanghai tour or Suzhou tour. Wulixiang Shikumen Museum in Xitiandi is a special museum that dislays the old Shanghai Shikumen houses. The exhibit was renovated in a local Shikumen building and modelled a household in an alley. 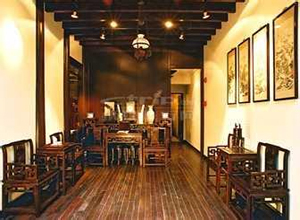 Tian Zi Fang is a art and craft enclave built in the traditional Shanghai Shikumen residential area. It is a worthy Shanghai attraction to visit. 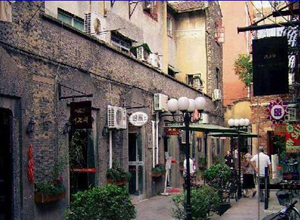 Xintiandi in Shanghai is an romantic leisure area in the old Shanghai Shikumen residential area. 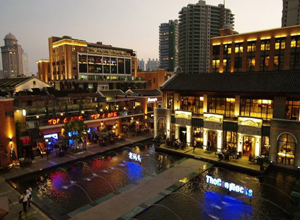 It is also one of the most active place for Shanghai nightlife. Zhujiajiao is the nearest water town in Shanghai. It has a history of 1,700 years. It boasts beautiful scenery with stone bridges, old houses, numeous rivers & streams. A popular Shanghai attraction. 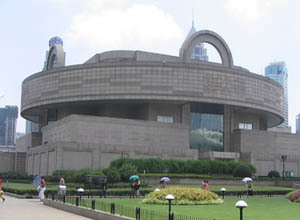 Shanghai Museum is located on People’s Square in the city center. It is a outstanding museum of Chinese arts and a popular attraction in Shanghai. Shanghai Urban Planning Exhibition Center in People’s Square, city center of Shanghai is a interesting Shanghai attraction. 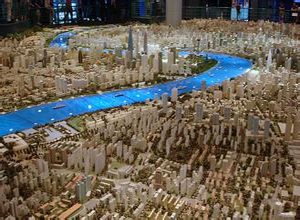 It displays Shanghai’s development and future in vivid means. 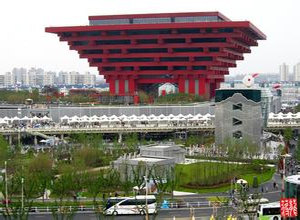 Expo 2010 was held in Shanghai as the 41st World Expo. The scale was the largest World’s fair site ever. The China Pavillion and several other national pavillions are still open. 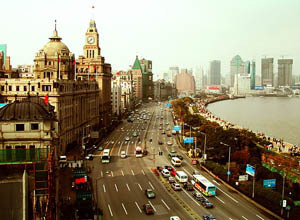 The Bund is a top Shanghai attraction, located by the west side of Huangpu River, opposite modern Pudong skycrapers. Description and infomation about Huangpu River and Huangpu River cruises. 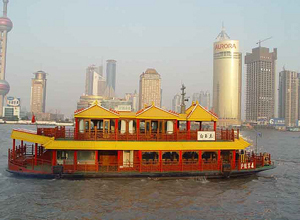 Huangpu River cruise is a good way to see the both sides of the Huangpu River, old and modern. 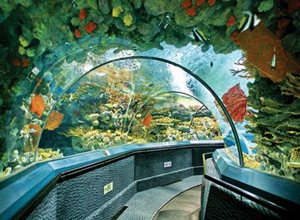 Shanghai Ocean Aquarium is the biggest aquarium in Shanghai. It boasts Chinese sturgeon from Yangtze River. The SOA is kid friendly when travelling in Shanghai. 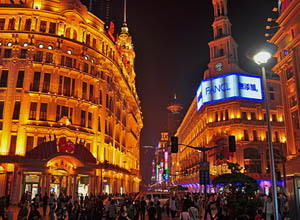 Nanjing Road is the busist shopping street in Shanghai, and also a must Shanghai attraction. Click to learn more. Jin Mao Tower is a 420.5-m skycraper in Lujiazui of Pudong district of Shanghai. It houses the Grand Hyatt Hotel. The observatory offers panorama of Shanghai. 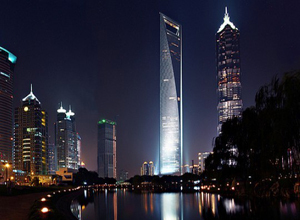 The Shanghai World Financial Center is the tallest building in mainland China. 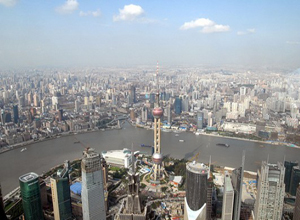 It is a popular Shanghai attraction for a bird’s view of Shanghai. 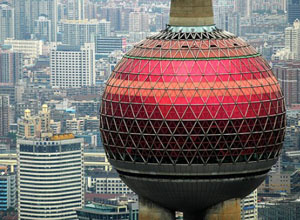 The Oriental Pearl TV Tower is the symbol of Shanghai, and also the sixth tallest TV Tower in the world. It is a must attraction in Shanghai, providing panorama of the city. 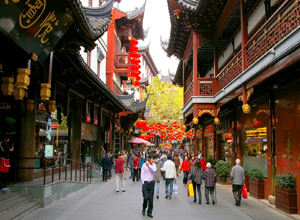 The City God Temple or Chenghuang Miao of Shanghai ia a Taoist Temple and most of time refers to the traditional shopping area around the temple. 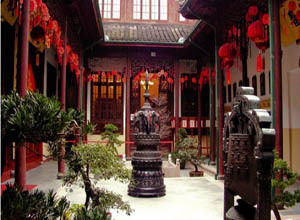 Jade Buddha Temple is a famous Buddhist Temple located in the center of Shanghai. It brings tranquility in the noisy city and received tourists from all over the world. 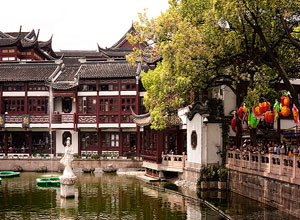 Yu Garden or Yuyuan Garden is a must when touring Shanghai. It is a Suzhou style classical garden with beautiful layover of rocks, streams, pavillions, stone bridges, etc. 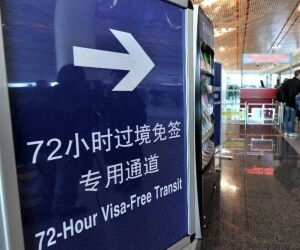 72-hour Visa-Free Transit policy now allies to Beijing, Shanghai, Chengdu, Chongqing, Dalian and Guangzhou. 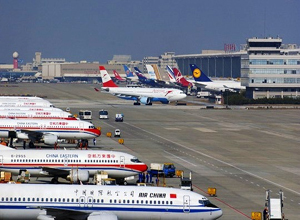 Shanghai Pudong International Airport is the primary international airport serving Shanghai. 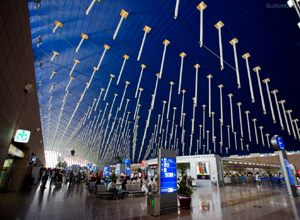 Information on Shanghai Pudong International Airport, terminals and transportation. Detailed description and information about Shanghai Hongqiao Internaitoanl Airport and airport transportation. Click to learn more.